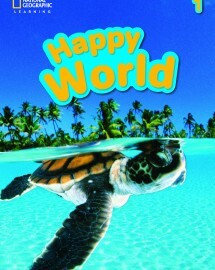 Explore the world and discover its wonders with Happy World! Spectacular video and inspiring photography bring different countries, cultures, people and customs to life – while developing the English skills young learners need to become successful global citizens. Packed with fascinating facts that spark curiosity and with new online resources, it’s now even easier to bring the world to the classroom and the classroom to life.